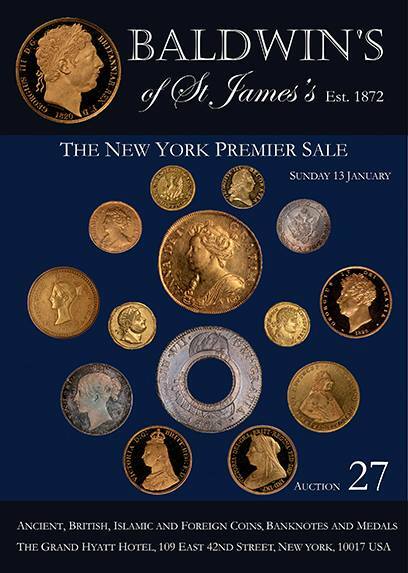 Recently at a Baldwins Of St. James auction in New York a price of $1,080,000 (£845,000) was paid for a 1703 VIGO Five Guineas. 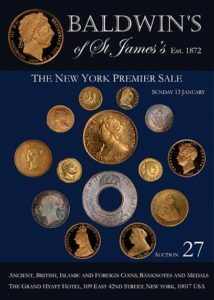 The price is a world record for a British coin sold at auction. It was sold in a slab and graded MS62. The coin is a very famous and historic coin. 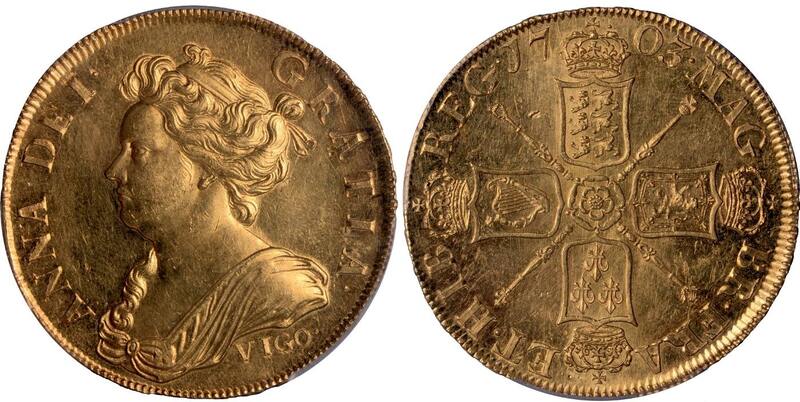 The VIGO coins came about because just as Queen Anne ascended the throne, the War of Spanish Succession broke out. The war was, in essence, a conflict between two sides that were each seeking dominance in Europe. On one side were the Habsburg Empire, the English and the Dutch Republic, on the other the French and the Bourbon Spanish. One of the earliest engagements in the war was the Battle of Vigo Bay, situated off north west Spain, on October 23, 1702; it was a major disaster for the French and Spanish, with all of their ships either destroyed or captured, in fact so decisive was the victory for the Anglo-Dutch that it was instrumental in leading the Portuguese King Peter II to turn away from his alliance with Spain and go over to the other side! Not only was the victory a huge boost for morale, but it was also good for the war effort too, as the captured ships yielded a large amount of Silver and Gold. 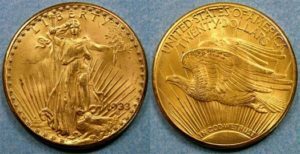 Admittedly there wasn’t as much as the allies were hoping for as a great deal of it had already been off-loaded, but it is estimated that somewhere in the region of 4,500 pounds of silver and seven and a half pounds of gold was captured. This was subsequently delivered to the Royal Mint and, at the behest of the Queen, coins made from it were stamped with the mark VIGO so as to “Continue to Posterity the Remembrance of that Glorious Action”. 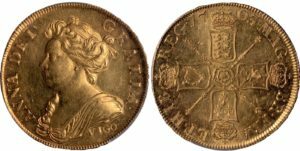 As well as a small number, fewer than 20, of the Five Guineas, Guineas and Half-Guineas were also struck and from the Silver came Crowns, Shillings and Sixpences. All VIGO coins are sought after and command a substantial premium over unmarked coins of the same year, but they do so not simply because they are rare, but because of the story behind them. 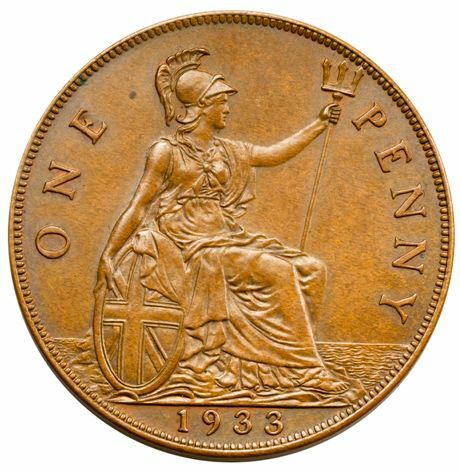 We shouldn’t be surprised of course, think of the other record breaking coins—the Coenwulf Penny (the first time the name London was used on a coin); the 1933 Double Eagle (from the Farouk collections, the only one allowed to be owned by a collector); the 1933 Penny (struck at the behest of King George V even though Pennies weren’t needed that year); the Edward VIII coins (the coins that never were); the 1794 flowing Hair Dollar (one of the first dollar coins ever made) and so on. Each is a rarity in its own right yes, but there is more to them than that—each has a story behind it, something that takes its appeal beyond that of just a lump of metal, no matter how rare or beautiful, and on to a different level. It is always worth remembering though that coins have stories too and whilst not every one will be as interesting as the VIGO or 1933 Double Eagle tale, there may be more to the pieces in your collection than you realise. So next time you’re checking condition, die varieties et al think bigger, wonder what story that the coin you now own might be able to tell you, see beyond the metal into history. You’ll be amazed at what you may find.